For many it’s shearing time! Followed by preparing your fiber for processing. Just a reminder about proper prep of your fiber (see skirting below) but also a particular comment about checking for tender fiber. This occurs most often in cria/juvi fleeces but can occur in any. If your cria fleeces are extremely fine, then a very small micron change can make them tender, i.e. a 17 micron fleece will need less change to be tender than a 24 micron fleece. It could be caused by weaning but also showing, drenching, transport/moving properties, drought, etc. UV damage or not shearing a cria shortly after birth may cause the tips to be damaged and tender. 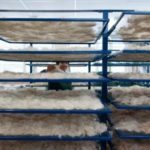 While a tender fleece may be able to be processed, it will easily nep, creating slubs and imperfections in your yarn. When you pull at the fiber, if it readily breaks it is tender. This can occur any place along the staple. We receive some that are literally tender all along the staple and I describe them as “shredding”. 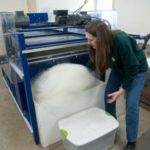 If you have any questions about the fleece, don’t mix it with others as the entire batch becomes impacted. If you have tender fiber and still want it processed, it’s probably best to do by hand. Thanks for reading and we look forward to receiving your fiber! Thought I’d post some photos taken of the mill for an article. Fiber drying at the wash house. Roving coming off the card. Debbie looking at yarn that was just spun. Debbie removing fiber from the separator output bin. Yarn made in the mill. 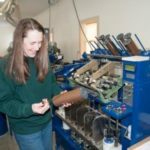 Vermont Fiber Mill & Studio and Maple View Farm Alpacas will host its annual holiday open house on November 26 and 27 from 11:00 am until 4:00 pm. Guests are invited to learn about alpacas, raised for breeding as well as their luxurious fiber. 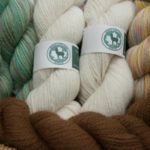 Visit the fiber mill and see fiber demonstrations: FeltLOOM both days and hand spinning on Saturday. Then browse the farm store for great holiday gifts made from luxurious alpaca. It’s always a fun weekend! Posted in Uncategorized | Comments Off on Holiday Open House is Just Around the Corner! The mill works with production cycles and we take reservations. We are full for the remainder 2016 as well as 2017 and 2018. 2019 will not open up until 2017. 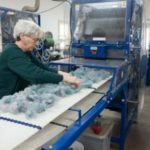 If you want roving, rug yarn or batts (jobs that are just wash, pick, card), we will be accepting limited jobs to our work in list late this year and for into 2017. We work these jobs in when we are backed up at the spinner. Email vtfibermill@gmail.com if you are interested. 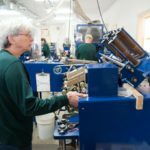 Jobs larger than 20 lb and/or wanting other services, like spinning, dyeing, separating or felting should be scheduled in a cycle. While we primarily work with production cycles we often maintain a work in list for jobs that only require wash, pick and card, i.e. roving, rug yarn or batts. We work these jobs in when we are backed up at the spinner. However, this list is currently quite long and currently goes into the last quarter. As we work thru the list, we’ll re-evaluate and hopefully be able to accept new work in items later in the fall or earlier. If you are already on this list, don’t worry … we will get to your work. Email vtfibermill@gmail.com if you are interested. 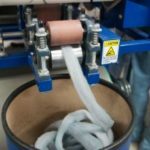 Jobs larger than 20 lb and/or wanting other services, like spinning, dyeing, separating or felting should be scheduled in a cycle. The mill works with production cycles and we take reservations. While we are full in 2016 and 2017, we are looking into 2018. Contact us if you are interested in reserving a slot. If you want roving, rug yarn or batts (jobs that are just wash, pick, card), we will be accepting limited jobs to our work in list later in the spring. We work these jobs in when we are backed up at the spinner. Email vtfibermill@gmail.com if you are interested. 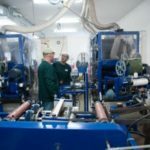 Jobs larger than 20 lb and/or wanting other services, like spinning, dyeing, separating or felting should be scheduled in a cycle. The mill works with production cycles and we take reservations. We currently have some capacity in the November 2017 – February 2018 and December 2017 – March 2018 cycles. Reserve yours today! The mill works with production cycles and we take reservations. We have moved into 2017 where there is currently capacity in the May 2017 – August 2017 cycle as well as the November 2017 – February 2018 and December 2017 – March 2018 cycles. Reserve yours today! If you want roving, rug yarn or batts (jobs that are just wash, pick, card), we generally can add you to our work in list. We work these jobs in when we are backed up at the spinner. However, this list is currently so long that we have suspended accepting add’l work in requests. As we work thru the list, we’ll re-evaluate and re-open it as soon as possible, hopefully after March. Email vtfibermill@gmail.com if you are interested. 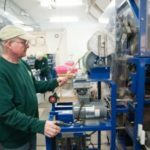 Jobs larger than 20 lb and/or wanting other services, like spinning, dyeing, separating or felting should be scheduled in a cycle. Vermont Fiber Mill & Studio and Maple View Farm Alpacas will host its annual holiday open house on November 28 and 29 from 11:00 am until 4:00 pm. Guests are invited to learn about alpacas, raised for breeding as well as their luxurious fiber. Visit the fiber mill and see fiber demonstrations: FeltLOOM both days, hand spinning on Saturday and rug hooking demonstration on Sunday. Then browse the farm store for great holiday gifts made from luxurious alpaca. It’s always a fun weekend! The mill works with production cycles and we take reservations. We have moved into 2017 where there is currently capacity in the March 2017 – June 2017 cycle as well as beyond. Reserve yours today! If you want roving, rug yarn or batts (jobs that are just wash, pick, card), we generally can add you to our work in list. We work these jobs in when we are backed up at the spinner. However, this list is currently so long that we have suspended accepting add’l work in requests. As we work thru the list, we’ll re-evaluate and re-open it as soon as possible, hopefully after January. Email vtfibermill@gmail.com if you are interested. Jobs larger than 20 lb and/or wanting other services, like spinning, dyeing, separating or felting should be scheduled in a cycle.